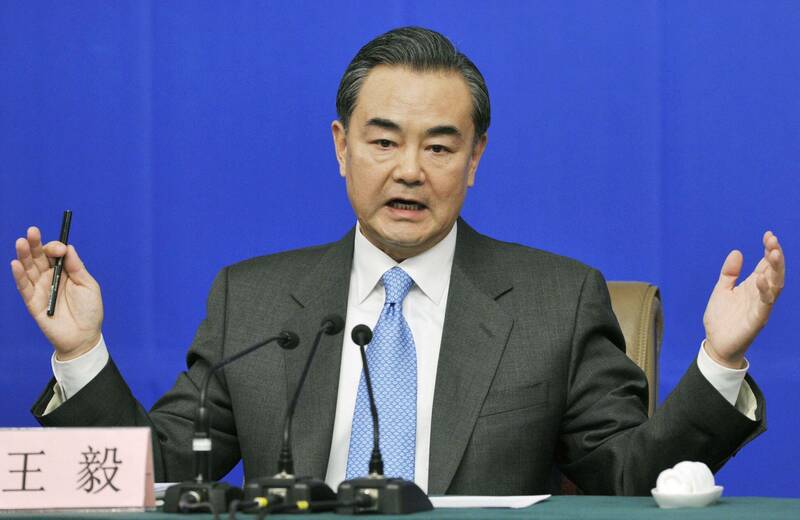 BEIJING - Chinese Foreign Minister Wang Yi on Saturday criticized Japan’s leaders for mishandling historical issues, saying their recent words and deeds are running counter to the spirit the two countries shared when they normalized diplomatic relations in 1972. “The current situation is not something we want to see,” Wang said. “Yet recent comments and actions of Japanese leaders betrayed the spirit of 1972 and undermined the foundation of China-Japan relations. 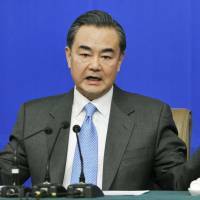 “So, of course, Chinese people cannot and will not accept (Japan),” Wang told a news conference in Beijing on the sidelines of the nine-day annual session of the National People’s Congress, China’s legislature. Since there are no prospects in sight for defusing bilateral tensions over territorial and historical issues any time soon, Wang said China will not make any compromise on the territorial issues. “We will not take anything that is not ours but we will defend every inch of territory that belongs to us,” the former ambassador to Japan said. Japan’s already-strained relations with China over the Senkaku Islands were aggravated by Prime Minister Shinzo Abe’s visit in December to Yasukuni Shrine, where Class-A war criminals are enshrined among the nation’s war dead. Since the visit, China has been stepping up propaganda campaigns against Abe’s government at home and abroad to draw attention to what it says is a lack of official repentance for atrocities Japan committed before and during World War II.